There's something magical about a gorgeous wedding invitation. Just take my friends Nicole and Stephen. 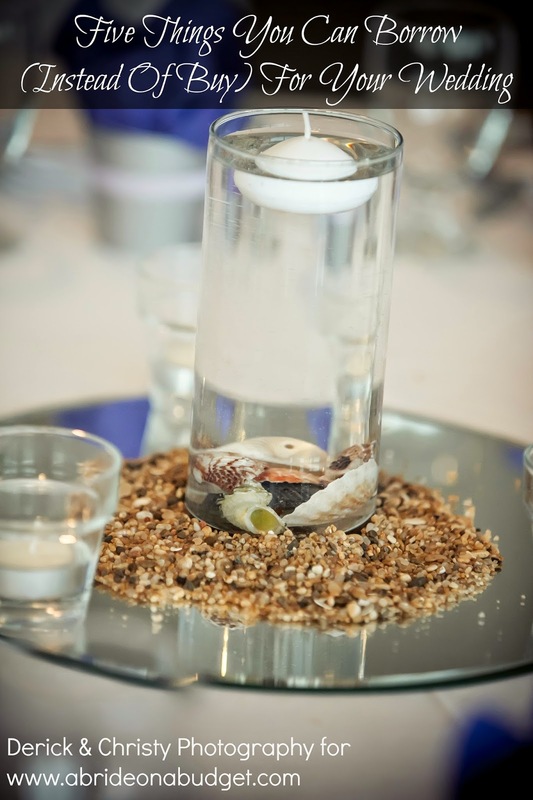 Their invite, in a word: beautiful. You open the heavy envelope, and there, inside is an invitation. But it's more than an invitation. 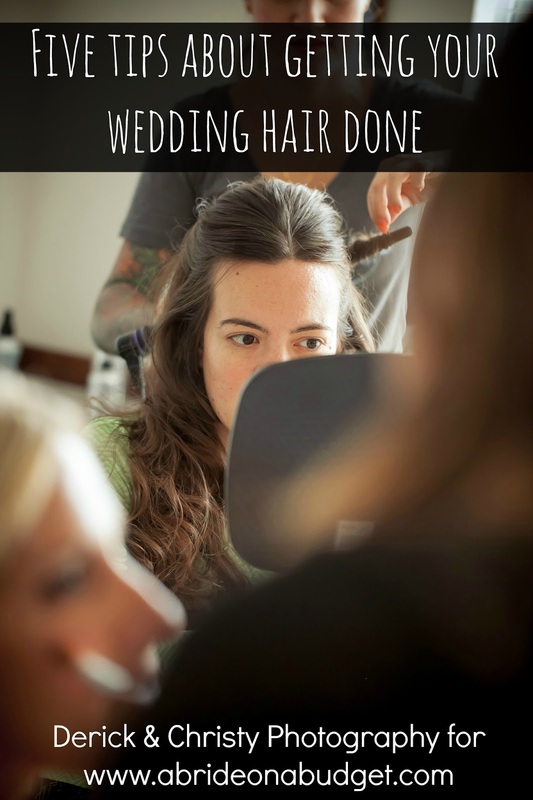 It's a gateway, if you will, to all the components of your wedding. And inside, there's everything you need to know. There's the invitation, with all the vital information: names, date, time, location. And then, in the side pocket, there's a card for directions, one for accommodations, one about the reception, and the response card. Although it's not pictured, there was also a stamped envelope for the response card. This package, obviously, is not covered by one forever stamp. But how much does it cost? I have no idea. You have no idea. You know who does have an idea? The post office. 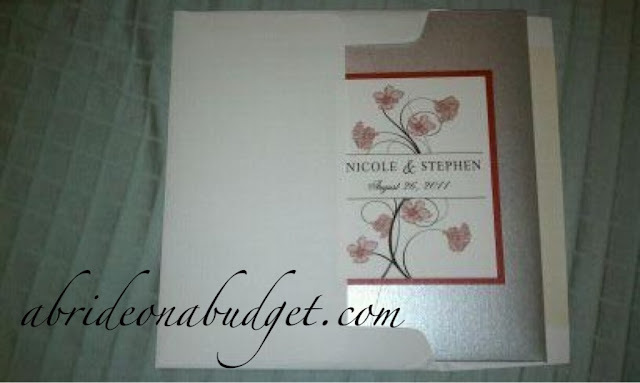 You should put together all the components of your wedding invitation and weigh them at the post office so you know exactly how much postage is needed for the invitation and for the response card. 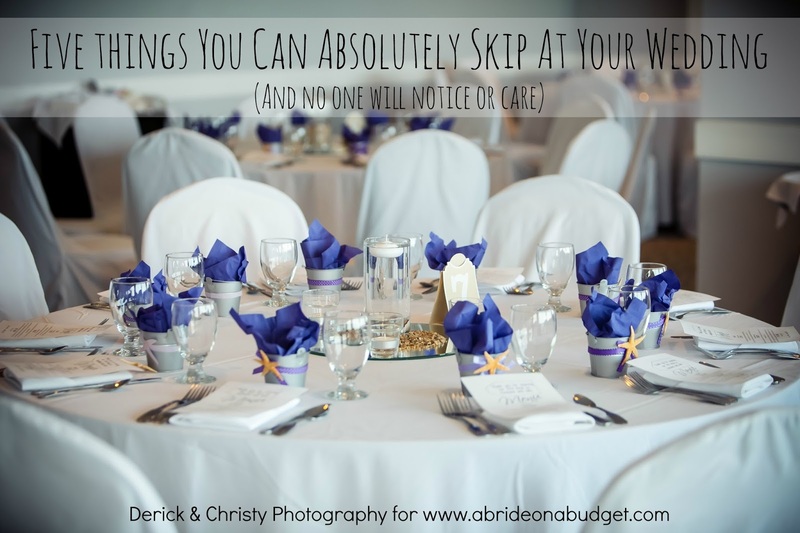 You don't want to have to worry about invitations or RSVP cards not arriving because of insufficient funds. I mean, can you imagine your grandma not getting her invite because you were short 20 cents on the postage? Or your college buddies and their wives show up at the wedding and you don't have room for them because you never got the RSVP back so you assumed they declined. Oh the headaches. So really, this is fantastic advice, and I had to pass it along to you. 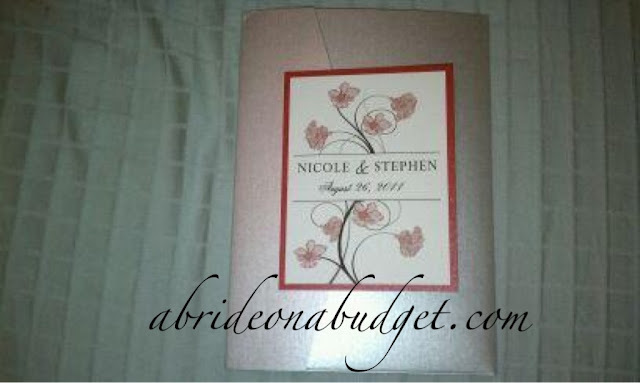 BRIDAL BABBLE: What's the average cost for a wedding invitation? Anyone know? For our wedding invitations, we used post cards as response cards, so that was simply a postcard stamp. The invitations themselves were right at the end of "First Class Stamp" so we only needed one regular stamp to go on those envelopes. We had a tri-fold card and inside was a small grouping of cards that was held together by a small heart shaped "brad" pin (the kind that you poke through something and then it splits two ways around the back). 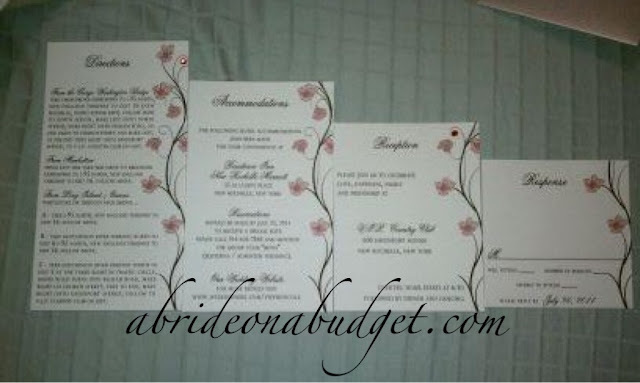 My SIL just got married and didn't take her invites to the post office before doing them all (she made her own) and when they got there it was going to cost almost $2.00 per invite because she had little pearls on them. They went home and took off all of the pearls and it was enough then to just be one first class forever stamp. So defiantly check with the post office about weight when you have all components of your invite together. It really depends on the kind of card you get, the type of paper, the heavier, the more $$$. The designs, do you want ribbon, crystals, etc. Ours were about $12 a piece, and looking back, that was kind of nuts, but I absolutely loved them. Since our cards http://pinterest.com/pin/40602834112045435/ had ribbon, I requested THREE languages (English, Farsi, and Viet) and heavy cardstock in shiny paper, they cost me alot. And the postage was also hefty, I think a little under 2 for each one and one forever stamp (which I highly recommend ordering online, the post office never had enough of the wedding stamps) for the rsvp card, and international, man that was expensive. Realistically, only about 5% of your guest will cherish your invites, includes your family and a few people who've recently been through the wedding process (we are critical people) I would save the money on invites to spend more on florals, lighting or photos/video. 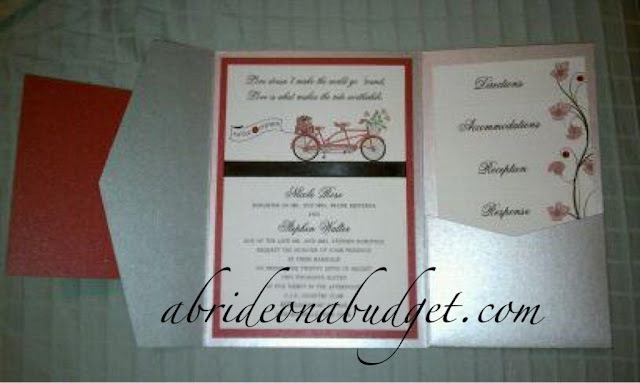 If someone is making your invites, you can ask them how much the postage is. My company knew how much it was. Or as soon as you get the sample, you can take it to the post office to get it weighed. And another tip, for cards, it's always best to go to a local company versus an online only company. You usually can get a better deal for better quality.